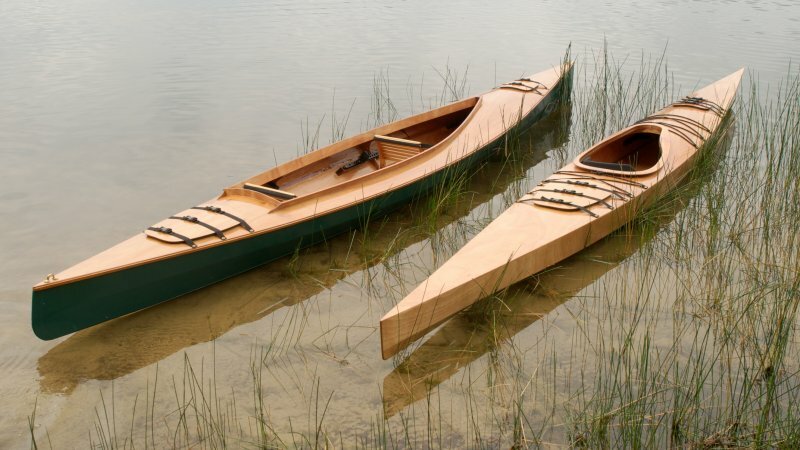 Two kit boats from Chesapeake Light Craft, built from March to July, 2012. Mill Creek 16.5 and Chesapeake 17LT. Built in my shop in Points, WV, and launched at Camp Seven Lake, near Manistique, MI. The Mill Creek 16.5 will be used by me in the lakes and rivers of West Virginia, Pennsylvania, and New York. The Chesapeake 17LT will be used by Dave Allen in Lake Superior and the waters of Michigan's Upper Peninsula. The picture was taken at Chicago Lake in the U.P.